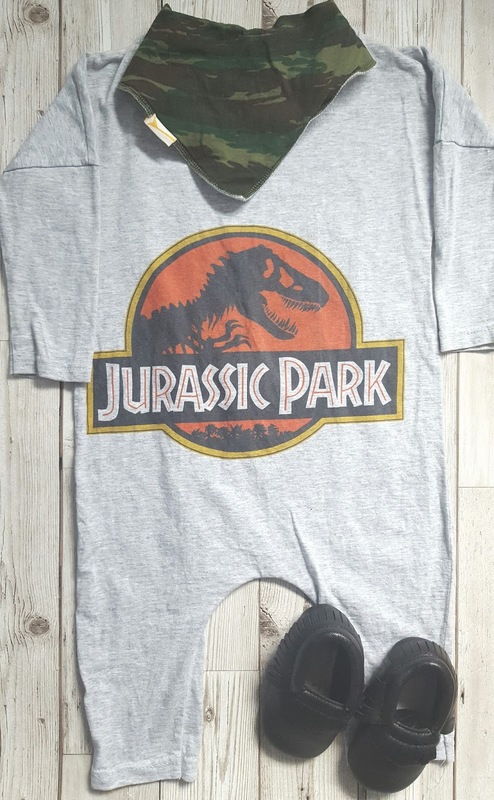 Welcome back to What Joey Wore. 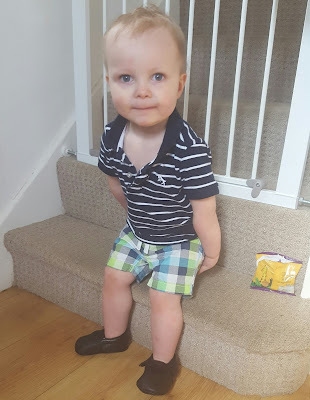 The weather has been brilliant recently, so Joey has been wearing more or less the same outfits as what has already been featured in his style posts. 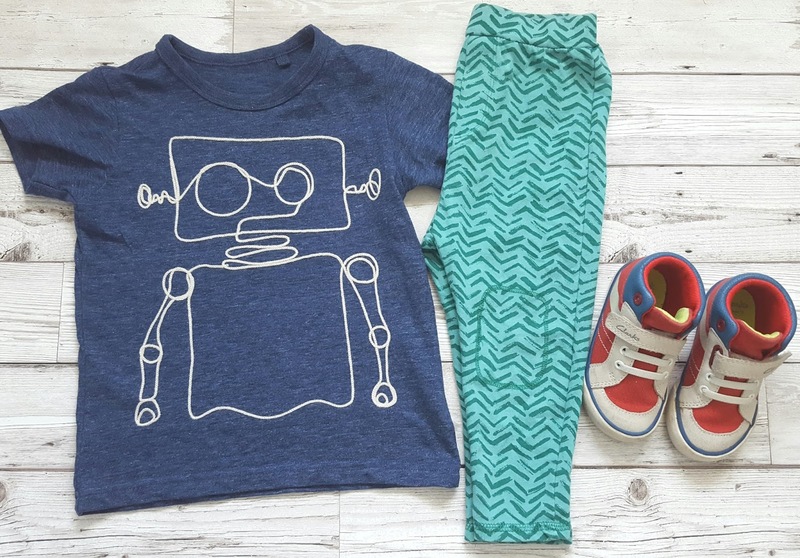 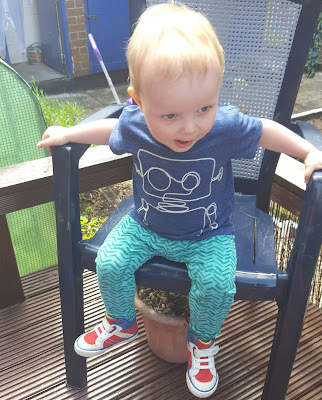 Even though the weather has been great it did start off a bit cooler this week so we broke out a pair of his new Zara bottoms, I love the print and the colour and it goes well with his robot top from Next. 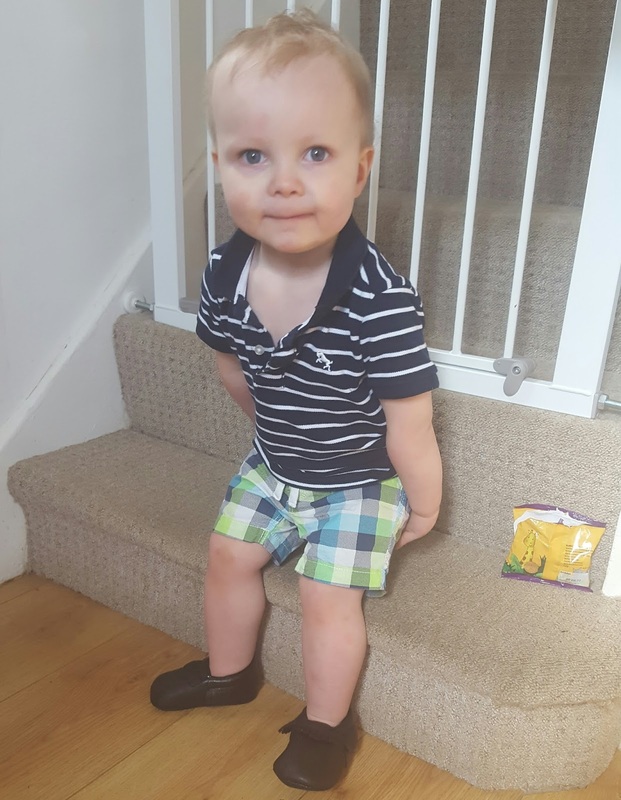 The top and shorts were bought last year for Joey, ehe wore the shorts all the time last summer and they still fit him. 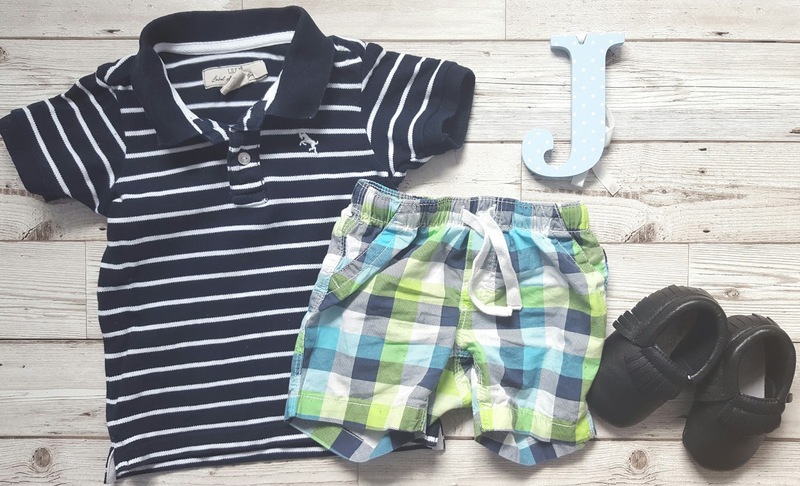 The colour of the shorts remind me of summer, he has the same pair but in blue from this season but they're really big. The top is another pick from last years summer wardrobe, he looks really good in navy and the stipes. After the glorious weather we've had recently today was the day it started raining and is very dull so he's wearing his Jurassic Park romper. 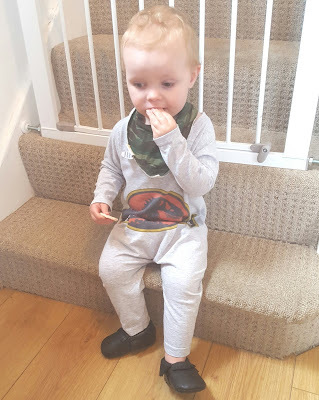 I've teamed it with his khaki camouflage bib which i think goes great and his moccs which he's been wearing all the time recently, they go with anything. Next Sunday will be Joey's 2nd birthday so i have a brand new outfit planned for him to wear. 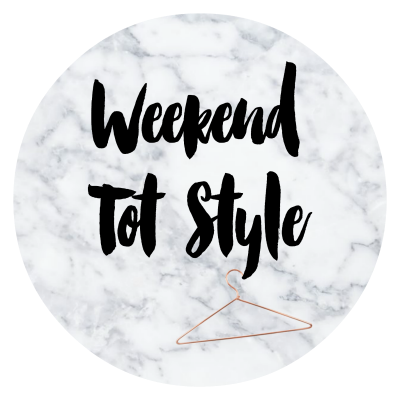 As always we're linking up with This Mama Life and Clearly Bex for Weekend Tot Style. 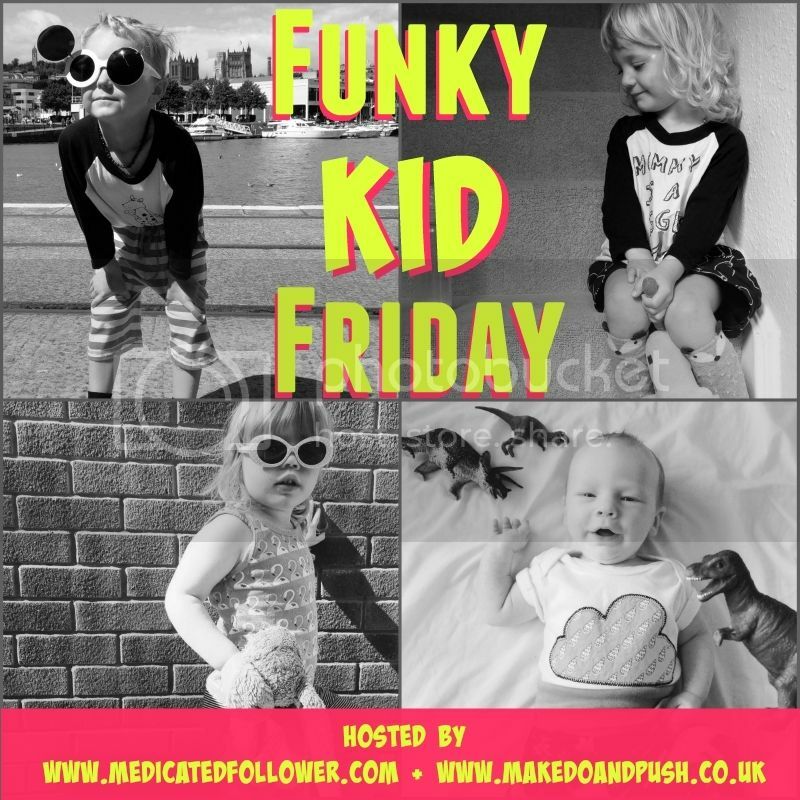 Also linking up with Make Do and Push for Funky Kid Friday. That robot T is awesome! Love the jurassic park romper too!